The conference begins in ! Mart on November 8th, 2019! Different individuals think differently. There are visual thinkers who have thoughts represented as photo realistic pictures, mathematical thinkers who think in patterns and people who think in words. These skills and different ways of thinking can complement each other. Join us to explore the importance of hands-on activities in schools and projects that will help students think and create like an inventor. Dr. Temple Grandin, Ph.D., is a gifted animal scientist, professor, and author. She has had a successful career consulting on livestock handling and animal welfare and today serves as a professor of Animal Science at Colorado University. Dr. Grandin also lectures widely on autism. As an autistic woman herself, she thinks, feels, and experiences the world in ways that are incomprehensible to the rest of us. As the number of children diagnosed with autism continues to rise nationally, Dr. Grandin is sharing her message about the disorder and “differently-abled brains”. At the heart of that message is this: Rigid academic and social expectations could wind up stifling a mind that, while it might struggle to conjugate a verb, could one day take us to distant stars. 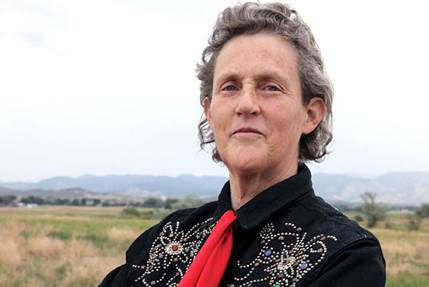 Dr. Grandin is the author of 18 books, and has appeared on Larry King Live, 20/20, Sixty Minutes, Fox and Friends, and she has a 2010 TED talk. Articles about Dr. Grandin have appeared in Time Magazine, New York Times, Discover Magazine, Forbes and USA Today. HBO made an Emmy Award winning movie about her life and she was inducted into the American Academy of Arts and Sciences in 2016. Our preliminary At-A-Glance schedule is available. Please check back here for updates and changes though. Current update 10/29/18. Download the At-A-Glance schedule here. 12:00-2:00 Special Session: Try out Archery! Our conference is geared towards anyone interested in science education, including K-12 teachers, college instructors, informal educators, administrators, pre-service teachers, and retired teachers. In addition, the Colorado Science Conference provides 5 hours of re-licensure credit. As always, the conference will feature presentations regarding the science content areas of biology, chemistry, earth and space science, physics, and environmental science within the education settings of Early Childhood Education, K-12, College, and Informal Education. Attendee - Registration is now open. Exhibitor - Reach out to educators interested in science education and science content by becoming a conference exhibitor. Sponsor - Help make the Colorado Science Conference one of the best local sources for science education professional development. Presenter - The call for presentations is closed. Acceptance notifications will be sent in August. Have questions/comments about our 2018 Colorado Science Conference? Please feel free to email us!